“Excellence” can sum up Ken’s long (15 years) career at Apple. This inspiring presentation introduces his “Seven Essential Elements” for doing great work: inspiration, collaboration, craft, diligence, decisiveness, taste, and empathy. Ken shares how to combine these elements to form “molecules” that help us achieve better, and more meaningful results, on a daily basis. As one of only twenty-five inventors listed by Apple on the “iPhone Patent”, Ken gives a first-person view into the secretive world of Apple, shares stories about the struggles and successes that went into the developing the touchscreen computing system we now take for granted, and gives insight into why Apple products like the iPhone turn out as well as they do. “iPhone Stories” is a from-the-trenches view of how innovation happens, and can serve as inspiration to individuals, groups, and companies who seek to do great work of their own. Ken Kocienda was a software engineer and designer at Apple for over fifteen years. After graduating from Yale with a bachelor’s degree in history, he fixed motorcycles, worked in the editorial library of a major New York newspaper, taught English in Japan, and made fine art photographs. Eventually, he discovered the internet, taught himself computer programming, and made his way through a succession of dot-com-era startups, before landing at Apple in 2001, where he worked on the software teams that created the original versions of the Safari web browser, iPhone, iPad, and Apple Watch. 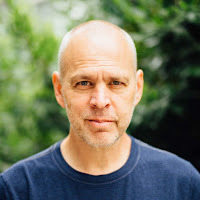 Ken holds over fifty patents for the innovative work he did at Apple, including several covering the development of touchscreen keyboard autocorrection for the first iPhone, work that led to his promotion to Principal Engineer of iPhone software. 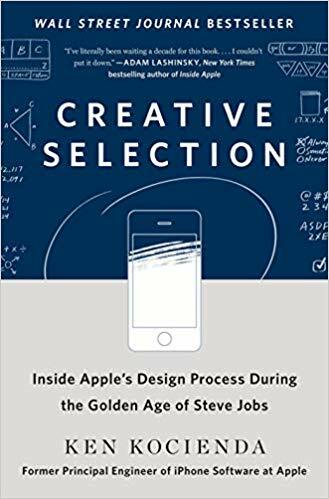 After leaving Apple in 2017, he wrote the Wall Street Journal bestselling book, Creative Selection: Inside Apple’s Design Process During the Golden Age of Steve Jobs. Creative Selection: Inside Apple’s Design Process During the Golden Age of Steve Jobs.